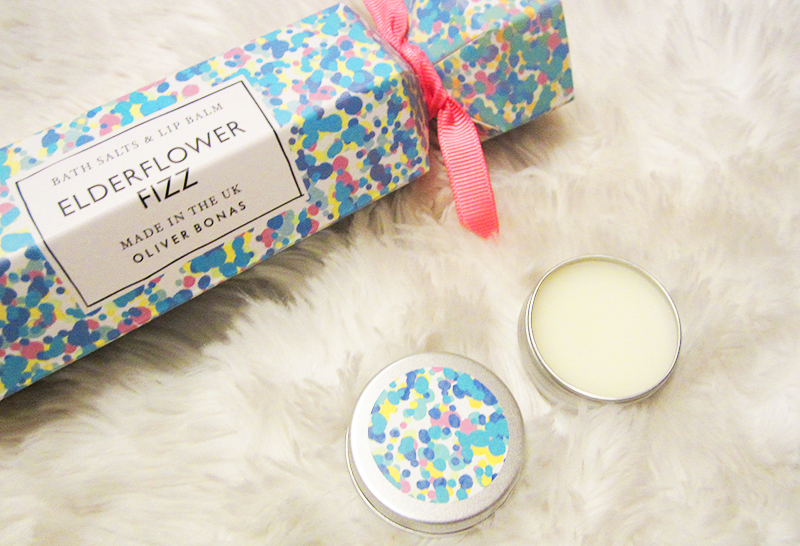 This cute Elderflower Fizz Bath Salts and Lip Balm Cracker (£10), is part of an adorable range available at Oliver Bonas which also includes two cheaper crackers at £6.00 each. The lip balm is the first thing I tried and it smells absolutely gorgeous. I'm not so sure it really made my lips any more moisturised though if I'm honest, but it has a lovely scent nonetheless. 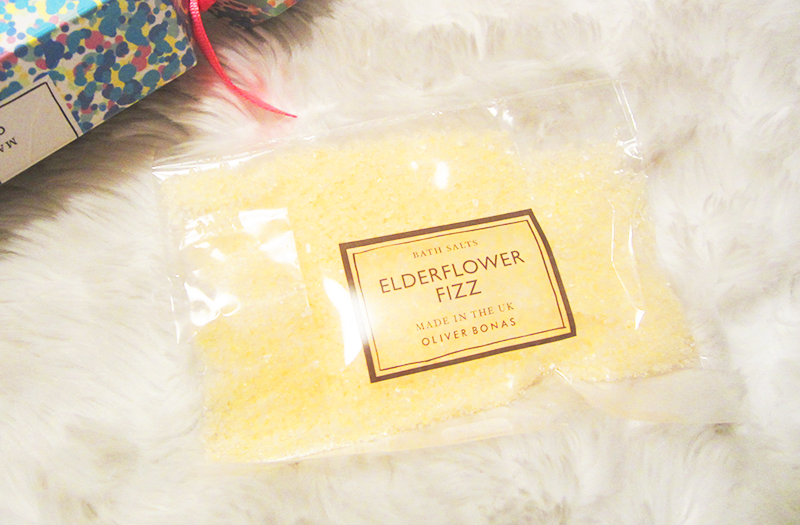 However, the bath salts are really the best thing about this cracker as they make your bath smell really lovely. And as someone who uses a lot of Lush, it really says something that I think these are on the same level! All in all, I think this is a lovely little gift set and definitely something a lot of mums or aunts would appreciate so do consider it when you're gift buying! Thank you for reading lovelies! And don't forget to enter my Pug Tea Diffuser Giveaway! 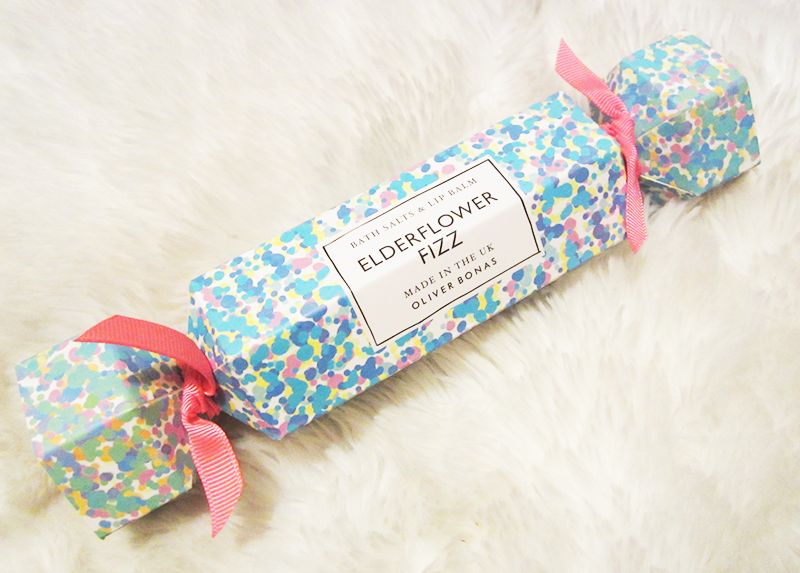 Ahhh, Elderflower is one of my favourite fragrances right now! I'd love to soak in a lovely smelling bath right now, I'm so gutted my current flat doesn't have one. Top of the priorities when I move next year!